Cope with being in tight spots and learn to train your mind not to fear confinement or restriction. See the way in which you can choose to either panic or relax, and learn to relax every moment you are in a constricted environment. Learn to enjoy air travel or being in a crowd, and make your conscious mind realize that a tight space does not mean peril or death. With Steve G Jones “Overcome Claustrophobia” self-hypnosis audio recording, you will get the help for claustrophobia you need, and learn to deal with this debilitating fear. Convenient choice between MP3 or CD formats. Claustrophobia is one of the most common fears – the fear of confinement that occurs when somebody is trapped in a small environment they can’t get out of. Traveling on a plane, a staple of modern life, is nearly impossible for the person who suffers from claustrophobia. Being trapped in a crowd is another common fear for claustrophobics – and one that they must face far too often. If you are looking for help for claustrophobia, and support for this fear, helping yourself can be one of the fastest ways of making a change. 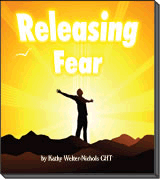 If you are tired of letting fear run your life, and you are ready to start taking care of your problems, self-hypnosis such as Steve G Jones’ “Overcome Claustrophobia” audio recording can help you to relax when confronted with a tight spot. You may feel as if you are running out of air or as if you are having a heart attack, when confronted by a situation where you cannot move and the boundaries of your world are close and constricted. You may feel as if you cannot breathe or think straight, realizing you need help for claustrophobia immediately. The truth of the matter is that you are not in any more danger in a narrow space than you are in a wide one or an open field: the possibilities just appear more limited. If you are the sort of person who likes to imagine many possible outcomes, tight spaces can be hell. By learning to relax and enjoy the tight space as opposed to fighting against it, you may find it warm and inviting, like a blanket or a cocoon. There is no reason that a tight space can’t be a place to relax and get some thinking done. How Can I Get Help for My Claustrophobia? If you are looking to get rid of your claustrophobia in order to deal with the tight spaces in subway cars, in office buildings, elevators, or really anywhere in the modern world, then self-hypnosis may be perfect for you. It is help for claustrophobia you can use, and that won’t let you down. By learning to replace associations of panic and terror when confronted by a tight place with calm and resignation, you will find yourself enjoying tight spaces more, no longer worried about all the things that could happen, and all the things that won’t. By using Steve G Jones “Overcome Claustrophobia,” you will get help for claustrophobia and make your fear a thing of the past. So here is your help for claustrophobia problems, and it carries a sixty day guarantee so listen regularly for best results and simply order your copy now. SelfHelpRecordings.com © 2019. All Rights Reserved.